We are one of Alberta’s leading animal welfare organizations rescuing and re-homing thousands of homeless and abandoned pets each year. More than this, we assist people and animals by transforming lives through kindness. It was early December and the weather forecast was calling for a blizzard and freezing temperatures when the phone rang. 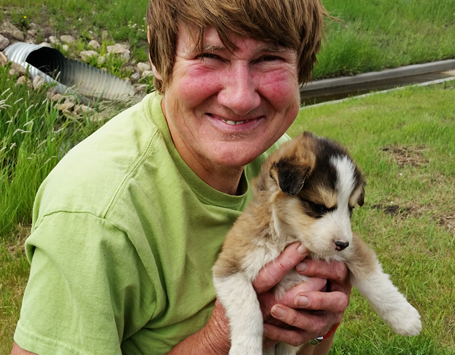 A concerned citizen had noticed a stray dog on their property had given birth under their shed. 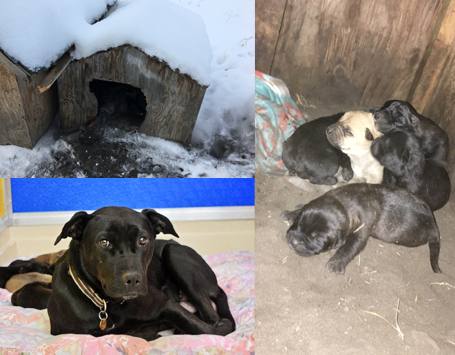 Recognizing that the pups wouldn’t survive a blizzard, rescuers immediately packed up the truck and made the three-hour drive to a property near Rocky Mountain House. 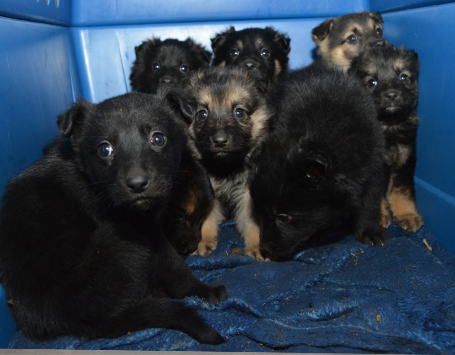 When they arrived they found a very scared momma dog peaking her head out from under the shed. Skinny and terrified she was doing her best to keep her six puppies warm and fed. The rescuers tried to coax her close enough to get a leash around her head, but she was too smart and quick. Four puppies came out from under the shed to see what was going on and rescuers quickly scooped them up. They were placed in a basket filled with blankets and put in the warm truck. The remaining two puppies were wary just like their momma. The wind was blowing and the snow was starting to come down, the storm was fast approaching. 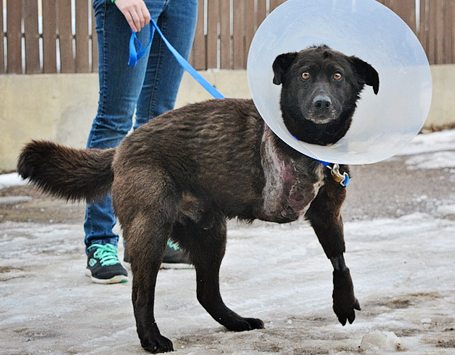 Rescuers tried everything to encourage the dogs to come out on their own but with no luck. Finally, with just enough space, rescuers crawled on their stomach under the shed. They were able to get a leash around momma’s neck and pull her out along with the remaining pups. 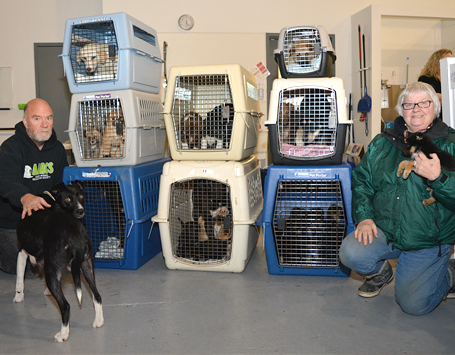 They were all placed in the warm truck for the ride to a foster home. To our surprise momma dog (whom we named Maya) crawled up, laid her head on her rescuers lap, closed her eyes and fell fast asleep. She and her little family of six were finally safe. It’s like she knew everything was going to be OK. The trip home took almost 5 hours due to increasingly bad road conditions. 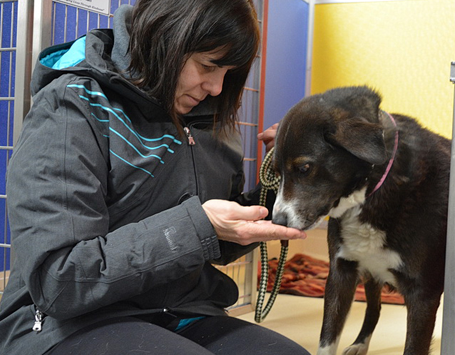 When the family arrived Maya was given a big bowl of food and water and her and her puppies a warm, safe bed. The blizzard came in full force and lasted five days, without that phone call and the rescue crew’s quick action these little puppies would have perished in the cold dark of night. 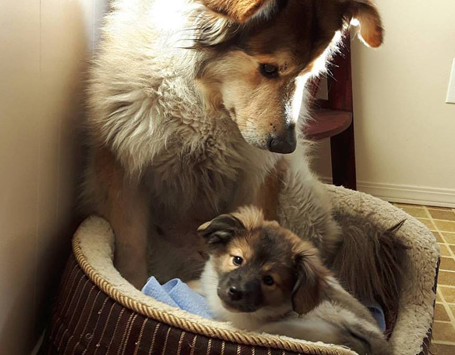 Instead Maya and pups are enjoying life in adoptive homes. AARCS was founded in 2006 by a small group of people who were looking to make a difference in the lives of animals and has grown into a vast network of volunteers, foster homes, and supporters. We now have over 1,800 volunteers across the province with our head office in Calgary and a satellite office in Edmonton. Our volunteers range in age from young children to seniors all looking to create a more compassionate world for animals. AARCS began with rescuing and rehoming homeless, abandoned, and surrendered animals and to-date have found new, loving homes for more than 15,000 pets. We knew there would be an endless number of homeless animals if we didn’t strive to end animal homelessness at the root of the issue. We needed to share information and help the public understand the value of responsible pet guardianship through Spay and Neuter Initiatives while providing Assistance Programs to keep pets in their homes whenever possible. 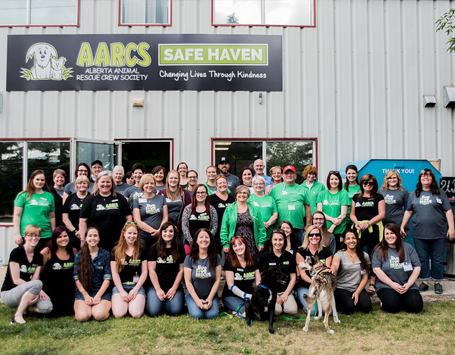 The first of it’s kind for animal rescue in Alberta, AARCS opened AARCS Veterinary Hospital in May of 2017 on-site at our Safe Haven Shelter located in Calgary. Staffed with veterinarians, registered animal health technicians and tech assistants we are helping thousands of homeless animals each and every year get the medical attention they desperately need. With two operating suites, a dental suite with dental x-ray, a full-body x-ray machine and fully functional laboratory and pharmacy; AARCS can perform almost anything a normal veterinary hospital can do. 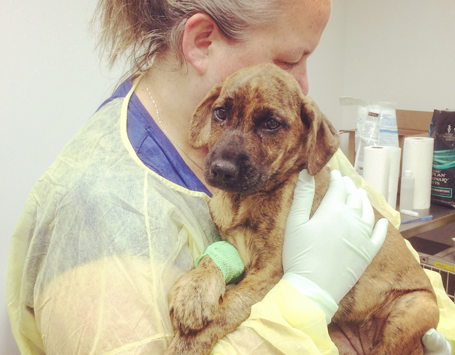 From broken bones, gunshot wounds, and mange to deadly diseases such as parvovirus AARCS is here to provide the highest quality veterinary care to those most in need. 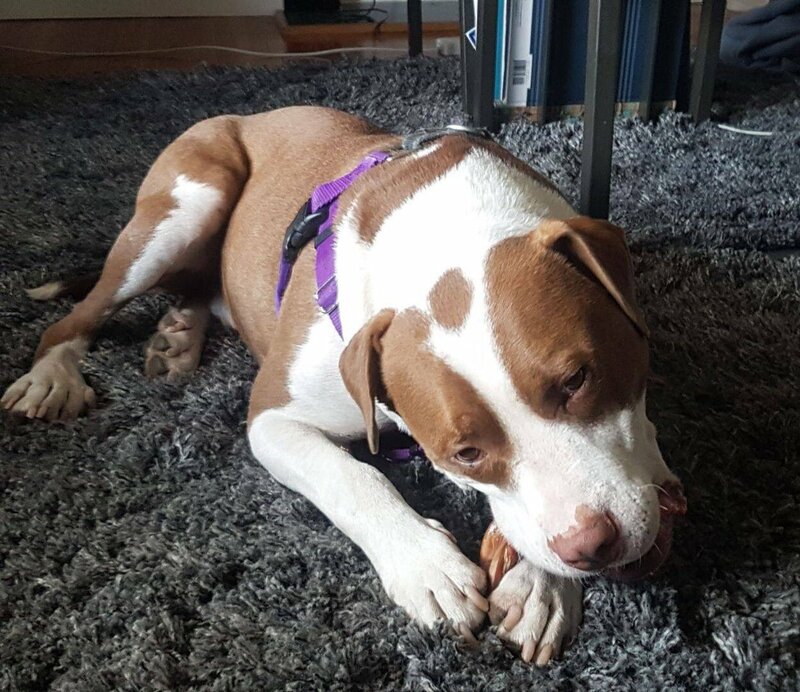 While a shelter is a great tool for initial intake, AARCS’ remain foster-home based as we believe a home is the best environment for adoptable pets to live while we search for a great adoptive family. 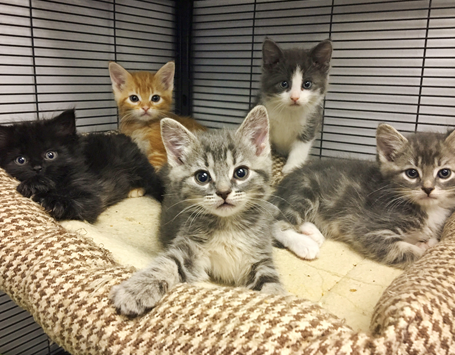 The shelter offers temporary holding space and allows for medical treatment for new arrivals prior to entering volunteer foster homes, as well as a space to temporarily hold owned animals participating in our Spay/Neuter Assistance Program. The shelter is manned by volunteers and is open to our rescued animals 365 days a year. 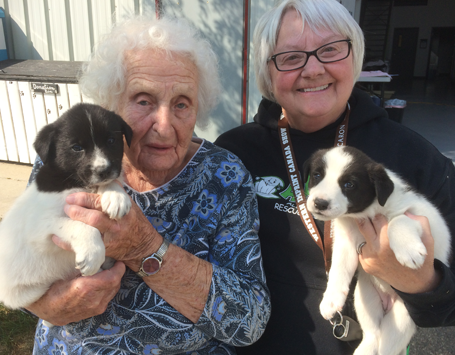 In 2013, AARCS stepped up during the floods in central Alberta helping rescue hundreds of stranded and displaced pets. Recognizing the huge need for emergency response as it relates to humans and their pets, this challenging event prompted the development of our Emergency/ Disaster Relief Program. In 2016 AARCS Rescue Crews were called in to help rescue thousands of stranded pets during the devastating fires in Fort McMurray. 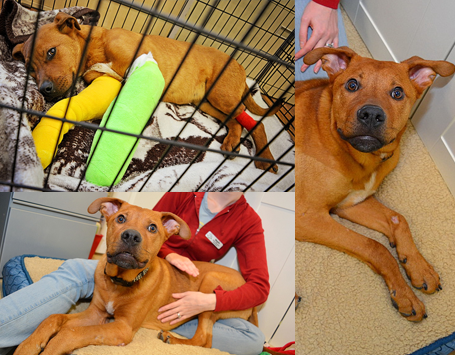 Today AARCS continues to help in almost any situation where pets are in need of assistance. We are a community partner specializing in pets and their people. We continue to share information with the public through Humane Education and Outreach while providing community support programs where needs arise. 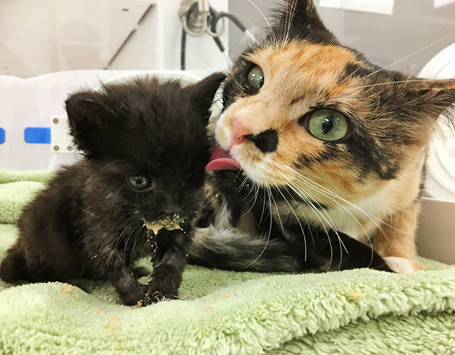 Rescue, Rehabilitate & Re-home Program: Many of the animals we rescue are sick or injured and require extensive rehabilitation and medical care. We provide all necessary veterinary care, including major surgeries for broken bones, gunshot wounds and other serious traumas, treatment of various skin conditions such as mange and whatever other ailments they may have, along with providing food, rehabilitation, training, kindness and support through our foster home network. All the animals that come through our program are spayed or neutered, vaccinated and treated for parasites prior to adoption. Spay/Neuter & Disease Prevention Initiative: This program offers spay/neuter surgeries for First Nation pet owners in Alberta. This program gets us one step closer to ending over population of animals in our province. Similarly, we offer TNR (Trap/neuter and return) services. TNR is a method of humanely trapping unaltered feral (wild) cats, spay/neutering the entire population and returning them to the location where they where found to be supported by a caretaker. TNR is considered a humane and more effective alternative to euthanasia for managing and reducing feral cat populations. Emergency and Disaster Response: AARCS highly experienced Disaster Animal Response Team is able to be on the front lines of any disaster or emergency – from floods, to fires, to hoarding or puppy mill seizures. 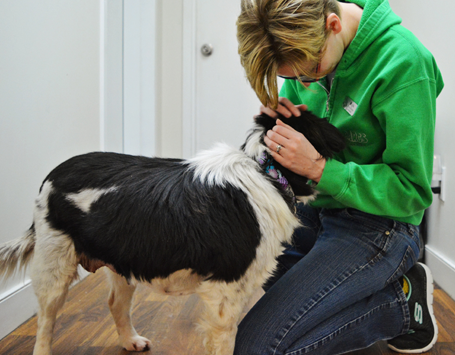 Our volunteers are dedicated to the safety and protection of animals in our community. Humane Education/Outreach Program: AARCS’ Humane Education Program was created to share information with today’s youth on issues related to animal care, behavior and the welfare of all animals. At AARCS we believe that sharing our knowledge, especially with children, is the most fundamental way to build a foundation of compassion towards animals in the communities where we work. We also realize the huge impact animals can have on all members of a community, so have expanded the program to include Outreach to groups of all ages. 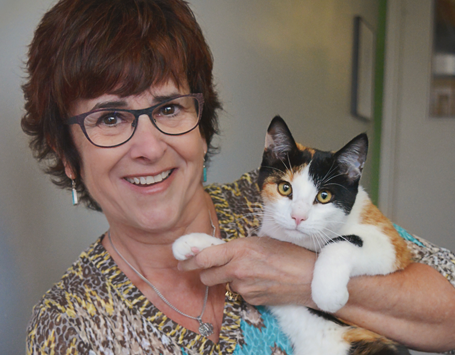 Assistance Programs: AARCS offers a wide variety of assistance programs that are designed to keep pets in their homes. Whether it be assistance with pet food during financial crisis, assistance with an emergency veterinary bill, a dog house to keep their pets warm or temporary housing for their pets during an emergency we will do whatever we can to try and keep the pets in their homes and out of the shelter. We all play an important role in the rescue journey of each animal. Whether you volunteer at the shelter, foster in your home, support through spreading the word or become a donor it takes each and every one of us to save a life. 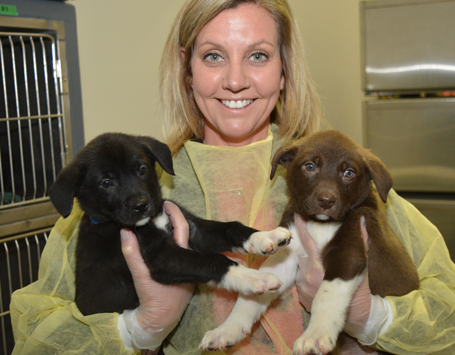 In 2017 AARCS moved into a new facility, which includes a 3,000 square foot Veterinary Hopsital. Having a veterinary hospital on-site has given us the ability to help the animals in most dire need of medical attention with an onsite veterinary surgical suite and ability to provide life-saving treatment. Donate While we have the manpower, drive and ambition, financial support is essential to fulfill our commitment of care to these animals, not only covering the basic cost of maintaining and cultivating safe and healthy environments, but also to further develop our programs and initiatives. Please consider becoming monthly donor. Sign up for any monthly amount — $20, $50, $100 — directly from your bank account or credit card. While it may not seem like a lot, this reliable and steady input helps us to maintain our programs and ultimately help more animals. Sponsorship For individuals, families or companies looking to contribute in a unique way, sponsorship just may be the way to go! Your sponsorship includes recognition in unique ways that you can share with family, friends and customers. 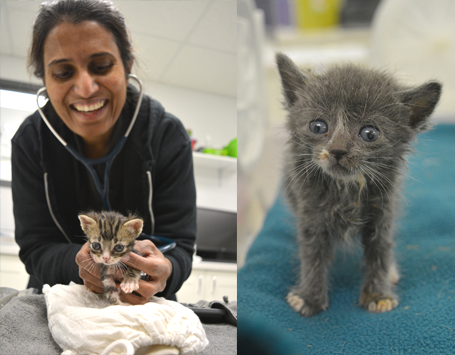 Volunteer or Foster Our volunteers spend hundreds of hours a month maintaining operations so together we can continue to help more animals in need. Whether you volunteer an hour a week or three hours a day, everyone is needed. Or consider fostering – provide a temporary, safe and loving environment for a homeless pet. By opening your home and heart to a homeless pet YOU will SAVE A LIFE of a homeless pet. Network Follow us on social media and share our stories. Encourage people to spay/neuter their pets. Come visit us at events. Help spread the compassion!